The dismal picture of the Italian social and economic situation contributes in our view to explaining the recent Italian vote. Whether one considers right or wrong the choice made by voters, the main message is that a majority of the population wants a change with respect to the past. This does not mean to say that there is widespread clear awareness of what has been happening. Italian media information on all that concerns economic life is very poor and conformist, generally supporting austerity and deregulation, and arguing that the country’s problems are inefficiency, corruption and excessive—or at least badly designed—spending and taxation on the part of the public sector. But whatever the understanding of the current problems at an intellectual level, people know out of direct experience what their difficulties and problems are. Both the Five Star Movement and the League garnered the votes of millions of working class and middle class people (in many instances past voters for the Democratic Party), and their electoral campaigns contained many promises of sharp changes away from austerity (the Five Star Movement focused on the implementation of a wide system of income support for low income and unemployed people, and on more public investments in the south, while the League emphasized a reduction in taxation by means of a “flat tax;” both parties agreed on the need for revising the 2011 pension reform law to make it less severe), and also from further international trade liberalizations. Whether they will deliver in some measure what they have promised is unclear. But, as already happened with Prime Minister Matteo Renzi a few years ago, unless the current government manages to respond to the needs of a large share of their electorate and make some sensible difference in terms of work opportunities, higher wages, social protection, and public investments in services and infrastructures, the current consensus is likely to rapidly vanish. 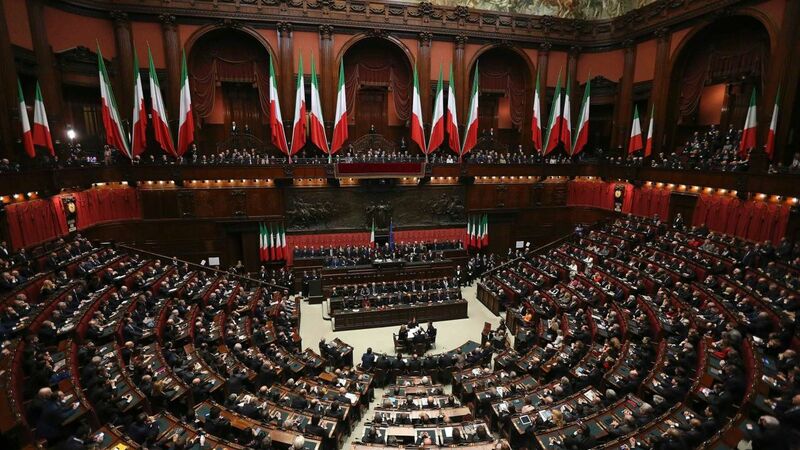 However, whatever the real, original intentions of the parties now in government, pressures from European institutions and “financial markets,” have already elicited numerous declarations by Italian government members, and particularly the economic minister, that budget rules will be strictly respected, which in turn significantly restricts what can be done to deal with the problems just listed. On the other hand, the initiative on the part of the Five Star Movement leader and minister of labor aimed at moderately reducing labor market deregulation is encountering fierce criticism and opposition by the national employers association (confindustria). But a lot is at stake: if the current government loses popular and electoral consensus, big business the public will hardly go back to moderate, new-liberal political forces such as the Democratic Party or Berlusconi’s Forza Italia, and tensions within the EU and Eurozone will likely get worse. Grazie. Se non sbaglio manca la figura 6.